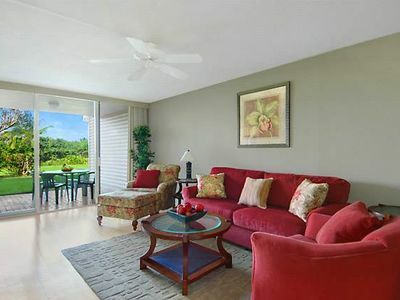 Enjoy our fully remodeled, modern, single-story, end unit condo. 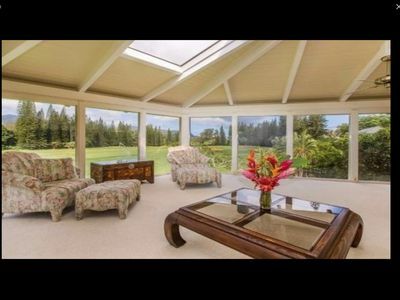 Bright and airy with high ceilings. 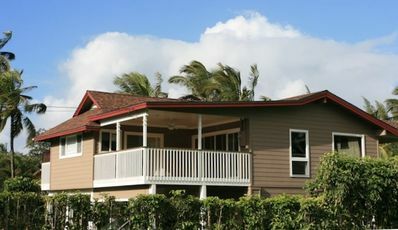 Fully redecorated and remodeled in July 2011. 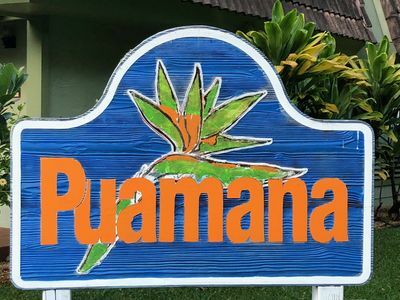 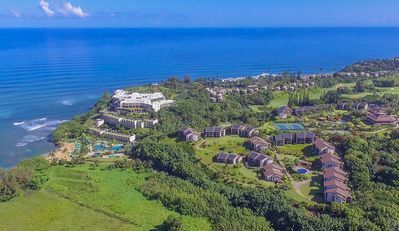 This quiet location is situated between two golf courses and close to the new Westin resort where you can enjoy Starbuck’s coffee, snacks, and fine dining. 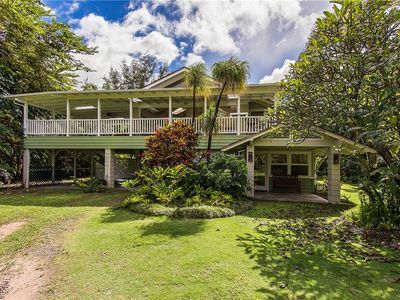 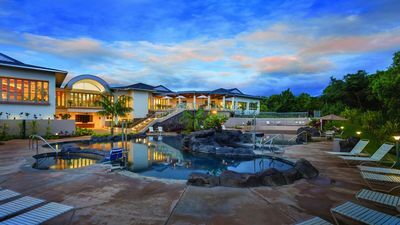 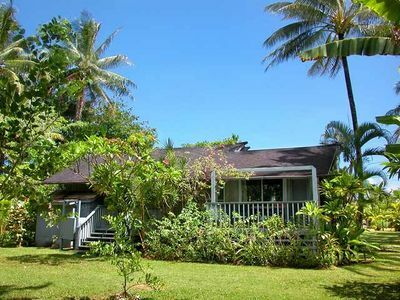 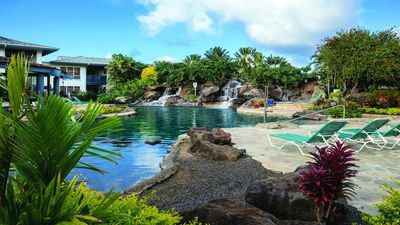 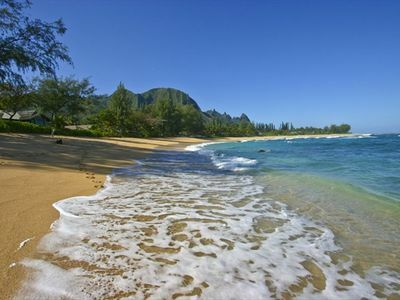 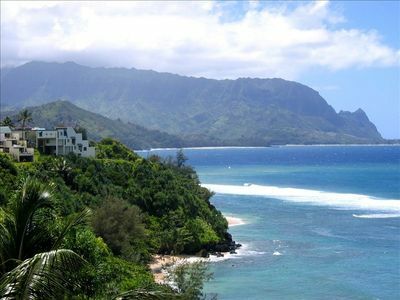 It is also a short walk to Anini beach, the Princeville shopping center, and a short drive to Hanalei bay and numerous other beaches. 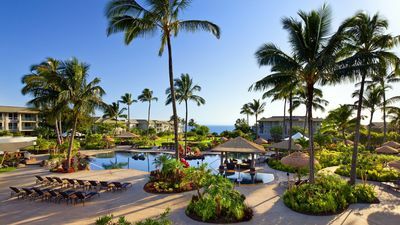 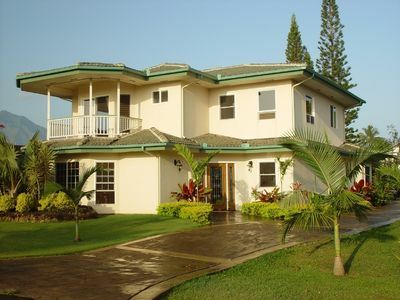 - Master bedroom has a private bathroom, California king bed, private lanai, and walk-in closet. 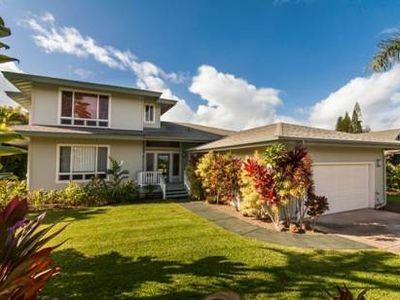 - Kitchen features Silestone counters, glass tile backsplash, and stainless steel appliances. 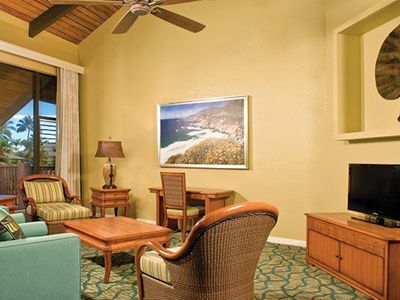 - Includes high-speed cable-internet with wifi and TVs in all rooms. 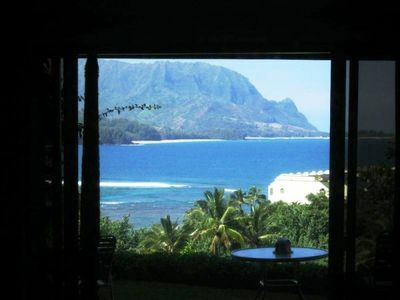 Fantastic Ocean and Bali Hai Views--Honeymooners' Delight!! 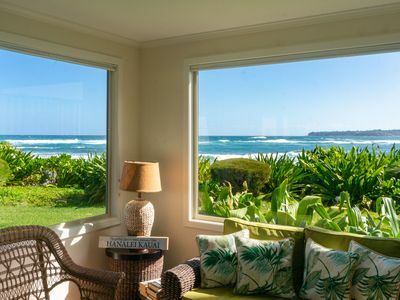 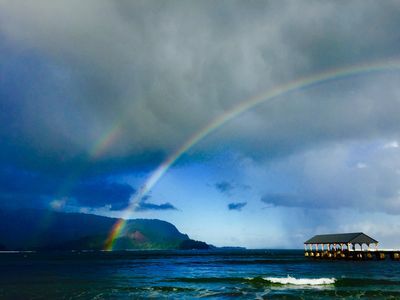 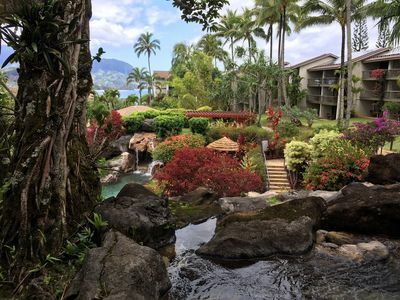 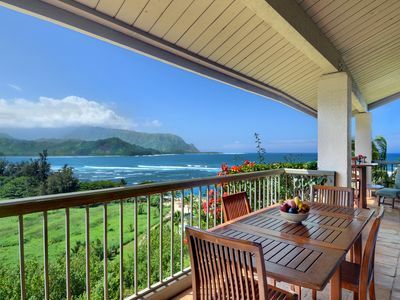 Hanalei Bay Resort #9304/5/6 - AWESOME oceanfront views of Hanalei Bay and AC!